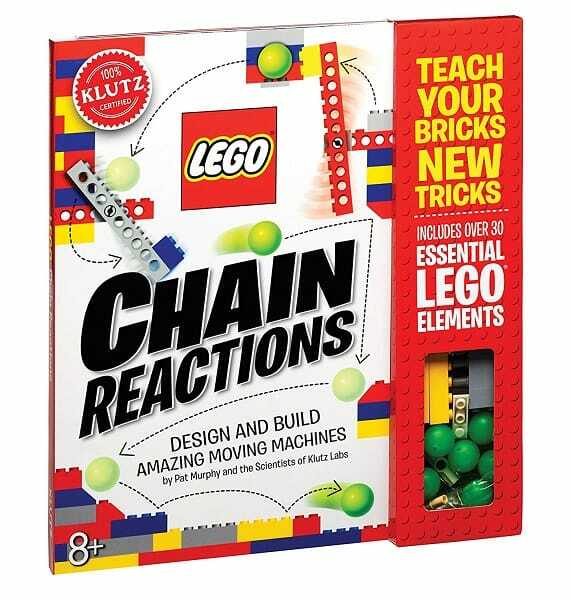 With the stuff in this Klutz LEGO Chain Reactions Craft Kit and a pile of your own ordinary LEGO bricks, you can build Ten awesome machines that can be combined to make dozens of different chain reactions that use many steps to do. ..a whole lot of nothing (or maybe something vaguely useful). Your machine could toss a gum wrapper into the trash, amuse your dog, deliver a message (‘Oh Yeah!’), ring a bell, and generally make you the envy of the neighborhood! Simple, solid color tees are something every woman needs in multiple colors in her closet. And, we have some comfy ones on sale today – perfect for stocking up on any colors you don’t have. Get these Basic Tees on sale for $10 (reg. $29). These super soft tees are sure to be a favorite. They are cute worn alone or layered with a long sleeve tee underneath. You can also throw a cardigan over them while the weather is cool. These make the perfect easy, casual outfits. You could even dress them up a bit with a cute skirt. You’re going to wear these all the time. Don’t miss out on these Basic Tees while they’re at this low price! White tees are a classic staple, but over time they can get yellowed and grubby. Every so often, it’s time to replace the yellowed white tee, and we have some great options for you. 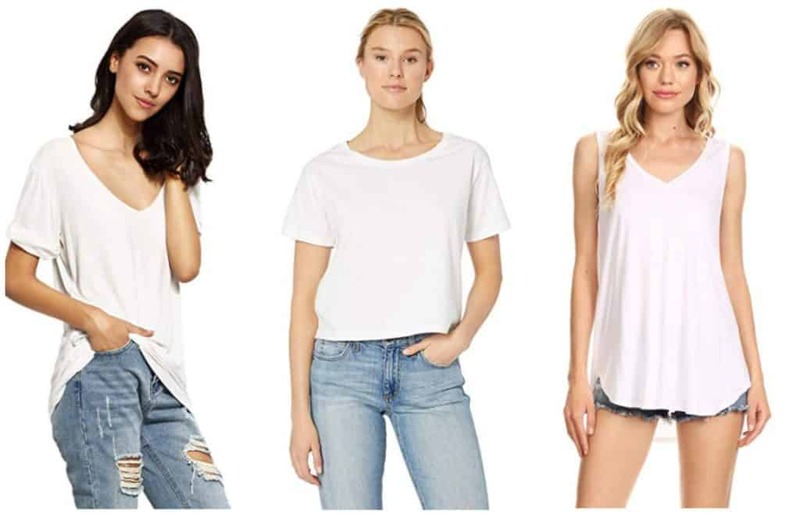 Plain white tees are a must-have because you can dress them up or down and wear them with pretty much anything. 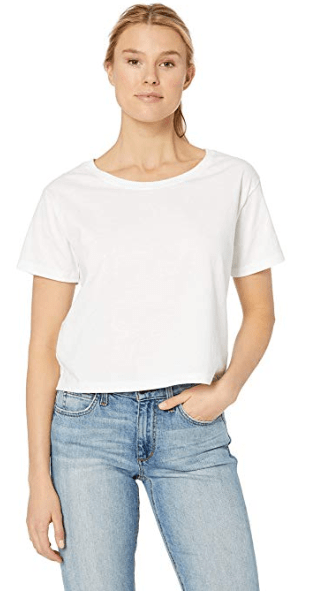 Add two tees to your collection when you buy this Amazon Essentials Women’s Short-Sleeve V-Neck Solid T-Shirt 2-Pack. Bodysuits are a flattering option to choose in lieu of a shirt. Throw on jeans or dressy pants over this Yummie Women’s Madelyn Seamless Bodysuit for a cute, easy look. I love this loose fitting tank. 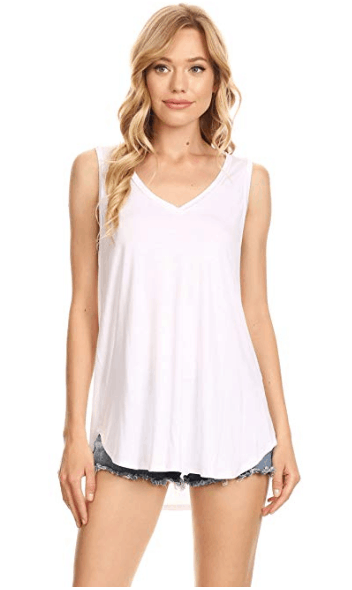 This A+D Womens Casual Loose Knit V-Neck Tank is the perfect top to pair with shorts for a loose yet flattering fit. I’m going to want this in other colors, too! 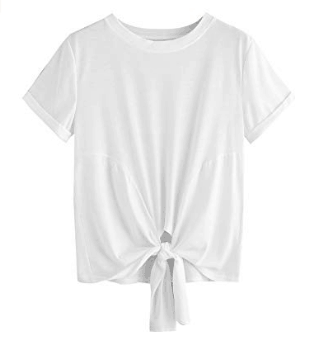 Knot tops are trending right now, and if that’s one of your favorite styles, you’re going to want to grab this cute MAKEMECHIC Women’s Summer Tie Front Crop Top. 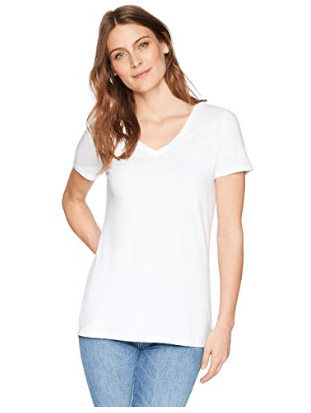 I love the rounded v-neck on this SheIn Women’s Loose Casual T-Shirt. I love loose, comfy shirts that can also be styled in a feminine way. This is a shirt you’re going to want to wear all the time! And, how cute is the boxy style of this Clementine Womens Cotton Boxy T-Shirt?? It’s like a crop top with just a little more length – definitely up my alley fashion-wise! Keep warm while you’re lounging around at home or if you’re out at sports games with these cozy wraps. Today only, you can get these Beautyrest Heated Blanket Wraps on sale. This heated wrap is made from microlight polyester fabric with an ivory micro berber reverse, and is incredibly soft. There are virtually no electromagnetic field emissions, and there are 3 heat settings, so you’ll be able allow to find the perfect temperature. And, you don’t have to worry about overusing it because it has a 2-hour auto shut-off timer. I always find myself getting cold when I’m watching TV, so this would be really handy to have. I can stay warm if my husband doesn’t want a blanket and vice versa. And, this is a must-have for everyone who has outdoor sports games when the weather is cold. There are a lot of different colors available, so you’re bound to find one or more that you love. Don’t miss out on these Beautyrest Heated Blanket Wraps while they’re on sale today. The rustic beauty of Vintage Casual design comes to life with the rich finishes and shaped metal of these counter height Ashley Furniture Signature Design Swivel Bar Stools to enhance the look and feel of any dining area. Stool frames are made from tubular, stamped sheet and solid bar metal with a gun metal finish. 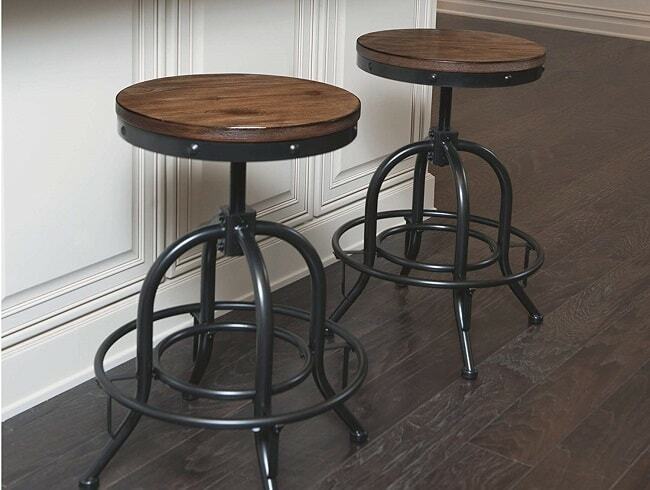 This pair of stools were priced $132.55 as of February 26 at 10:00 am. Get ready for spring in these gorgeous tanks. These Floral Cut Out Tanks are so pretty and a top that all of you ladies are going to want. Right now, you can get these on sale for $16 (reg. $36). These tanks feature a delicate floral pattern in peach or blue with a trendy cut-out back design. There are two back oval cut outs that are split at the lower back. They’re so versatile that you can easily go from the gym to lunch with friends. Pair these tanks with black leggings or skinny jeans for a fun casual look. You could even wear these as swimsuit cover ups. You’re going to want this one in both colors. Grab these Floral Cut Out Tanks while they’re on sale!